The Original – make your own knife activity, since 2005. 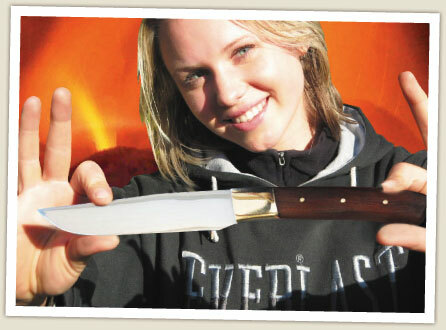 Come and make a knife in our backyard – you’ll amaze yourself! 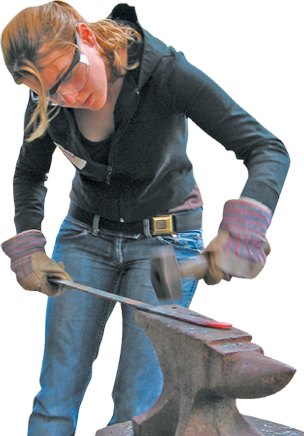 You get to forge your own blade from red hot steel, and complete your knife with a native timber handle, brass bolsters and pins. Other free activities include axe throwing, target practice and a huge swing. Lunch is provided, usually toasted sandwiches.